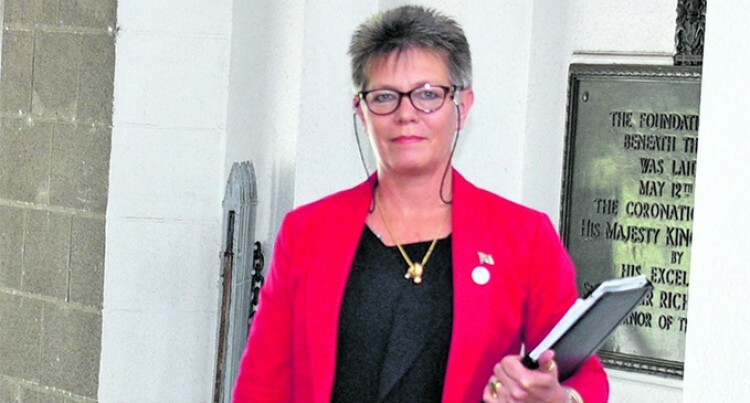 Former Assistant Minister for Environment Lorna Eden. A company, Mainland Resorts Limited, owned by hoteliers Tim Eden and wife Lorna; who is the Assistant Minister for Environment, is under investigation for an alleged breach of the environmental law. The couple have been issued with a prohibition notice to stop work on Bakabaka Island, which is at least 10 to 15 minutes drive from Savusavu. This was confirmed by Mrs Eden who is scheduled to chair a Business Roundtable discussion on the environment in the North today. She said the stop-work notice was issued and due process was being undertaken to clarify Mainland Resorts’ position. It is understood that the company was accused of clearing mangroves without first obtaining an environmental impact assessment report. She said: “I am one of the directors of MRL, which is the holding company of Bakabaka Island. Mr Eden also said the same thing. “I can confirm to you that there is no development happening on the island. When the Island was left for tender myself and three others showed interest in buying the island. “It was costly, but we had fallen in love with the island. We bought the island for our working plantation. “The island needs some renovation works and we are replanting all the copra that was lost during TC Winston. “And there is no electricity on the Island, so we have to do more renovation works on the homestay on the island but there is no development on the island,” he said. The alleged cutting of mangroves was brought to the attention of the Director of Environment last month by a concerned citizen who lives close to the island. However, she refused to comment last night. Responding to queries from the Fiji Sun, Permanent Secretary for Environment Joshua Wycliffe, said the island was bought a couple of years ago and mangroves had been cut along with other vegetation, which the Department of Environment was not aware of. “When photographs were taken they showed that there were burnt logs and that mangroves were cut,” he said. A report was compiled following the inspection and based on the report the Director sent a prohibition notice ordering the company to stop any form of work without a proper EIA report. “To the best of our knowledge they have stopped work,” Mr Wycliffe confirmed, adding that Mr Eden had given his assurance that all works had stopped. He stressed that if people carried out work without an assessment, it allowed the Director to prosecute them. It is understood that an environment officer has been tasked with working with Mainland Resorts Limited to assist them with remedial action. Shanya Singh of Nabukalevu who has lived in Nukubalavu, Savusavu for more than 25-years said it was sad to note the decline of th ecosystem due to the increase of development in Savusavu. “First was Nawi Bay than now Bakabaka Island, very soon Savusavu will lose what its known for and that is Hidden Paradise,” Ms Singh said. Anasa Kaukimoce , 62, who was born in Savusavu and has lived his life there, said: “We are going to lose the beauty of Savusavu if more development takes place. Kathy Wong, 36, of Naqere said the removal of the forest will bring more natural disasters.